Coffee is normally beverage for most people. About coffee you can read a lot of data, so accurate, so and inaccurate.Coffee has caffeine in it, a substance with stimulant properties. Coffee will help improve cognitive abilities will wake you up, allow for longer withstand certain activities. Somewhere I read that it is good to drink 20 minutes before physical and mental activity because it will also improve results. Is that correct or not, check yourself! It also acts as a diuretic and is so good and in the fight against cellulite, helps dissolve lumps. It also operates outside the cellulite often appears as an ingredient in anti-cellulite products. And my of course. 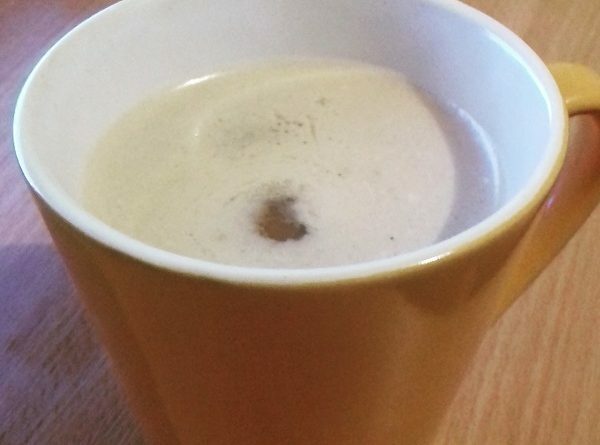 Try low-carb/keto butter coffee! Coffee should be made of eco-farming, also vanilla and coconut milk. I use coconut oil cold pressed, the smell of him was special. Cook coffee and wait for it to settle. Pour it into a tall jug for mixing. Add all ingredients and mixing blender for about 1 minute. Use extension for shredding, as the others did cast liquid from the container, and is there everywhere. The beverage will have the foam, so it looks like a cappuccino! Boiling the two or more coffee, increase the number of ingredients. When it comes to larger quantities of coffee, you need a larger container that you all do not boat out. Fats that are added to the machine it is necessary to mix because only at high speed nice intervene in the coffee. If you do it in a cup, a spoon, fat would remain separated at the top and all the while drinking would stick to the mouth, and it would be greasy. Can you become addicted to caffeine? How much caffeine is too much? In small quantities, it is beneficial for the body, but if you overdo it, it can cause some difficulties. Caffeine is an integral part of cocoa, chocolate, and many tablets, especially against headaches. If you do not drink coffee because of caffeine, eating a chocolate, then continue taking the stimulant. For some people, it causing wakefulness late at night, when they drink it too late (after, say, 17 hours). Can you overdo it with coffee? I guess men just do not know what are the quantities that we may say that’s an exaggeration? I’ve found the fact that “too critical” was about 75 cups of coffee a day! I really do not know how we could drink so much coffee in one day! It would be like every 20 minutes, including the night, drink a cup of coffee! I think it’s too much then when they can’t start their day without coffee because you have a headache if you do not drink. Perhaps there is a problem with sugar, which, in my opinion, is not a place in coffee. As no milk, of course.